Reception123 renamed T3657: Block all Chinese (excluding Taiwan) from reading my site from [Redacted] to Block all Chinese (excluding Taiwan) from reading my site. Reception123 updated the task description for T3657: Block all Chinese (excluding Taiwan) from reading my site. Reception123 added a comment to T3657: Block all Chinese (excluding Taiwan) from reading my site. @AmandaCath See the reply John gave. Unless it's offensive/illegal/spam please don't remove task content like that. • AmandaCath added a comment to T3657: Block all Chinese (excluding Taiwan) from reading my site. @AmandaCath Why did you remove a users request? Did anyone ask you to do this? • AmandaCath edited projects for T3657: Block all Chinese (excluding Taiwan) from reading my site, added: Trash; removed Amanda Catherine. MacFan4000 removed a member for Trash: MacFan4000. MacFan4000 changed the edit policy for Trash. MacFan4000 added a member for Trash: MacFan4000. • AmandaCath changed the edit policy for Trash. 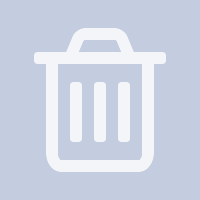 • AmandaCath added a member for Trash: • AmandaCath. • AmandaCath edited Description on Trash. • Rappy_4187 reopened T3477: Requesting custom domain for openhatch wiki as "Open". revi closed T3165: Re: Research on Things to do in Italy as Invalid. revi lowered the priority of T3165: Re: Research on Things to do in Italy from Unbreak Now! to Low. John changed the edit policy for T1425: Spam. John changed the edit policy for T1424: Spam. John changed the edit policy for T1421: Spam. John changed the edit policy for T1420: Spam. MacFan4000 changed the edit policy for T1425: Spam. Paladox renamed T1425: Spam from I will donate to Spam. MacFan4000 changed the edit policy for T1424: Spam. Paladox renamed T1424: Spam from Miraheze shall be hacked to Spam. MacFan4000 changed the edit policy for T1421: Spam. Paladox renamed T1421: Spam from I will hack a steward account and take control of Miraheze to Spam. MacFan4000 changed the edit policy for T1420: Spam. Paladox renamed T1420: Spam from When will you realize that all you have to do to stop the spam is unban me to Spam. Paladox lowered the priority of T1420: Spam from Unbreak Now! to Low. revi placed T1426: JohnLewis is a traitor up for grabs. revi placed T1427: Split the database up for grabs. revi updated the task description for T3135: Research on Things to do in Italy. revi shifted T3135: Research on Things to do in Italy from the Restricted Space space to the S1 Public space. revi closed T3135: Research on Things to do in Italy as Invalid. revi moved T2747: Phabricator spam filter test from Incoming to Phabricator on the revi board. Reception123 closed T2821: Competitive Marketing Strategy for Nginx as Declined. Void closed T2777: Re: Research on Digital Pianos as Declined. MacFan4000 set the image for Trash to F739530: fa-trash-o-backdrop.png. Herald closed T2747: Phabricator spam filter test as Declined. NOTE: Herald is autoclosing this ticket because herald detected commons spammy contents from this task description. Please reopen and remove Trash if this is ham. revi added a project to T2744: Research on Digital Pianos: Trash. Sau226 added a project to T2399: Question about one of your posts: Trash. Sau226 added a project to T2409: Re: Question about one of your posts: Trash. Sau226 added a project to T2303: New Design Led Hand Spinner with Customized Logo. MOQ 1000pcs: Trash. Can we ban this spam? Sau226 added a project to T2624: Re: Research on Boxing Training: Trash. Sau226 added a comment to T2659: "miraheze". Can we not stop these people from emailing miraheze by blacklisting the IP at the mail server? revi added a project to T2604: Research on Boxing Training: Trash. revi added a project to T2659: "miraheze": Trash.